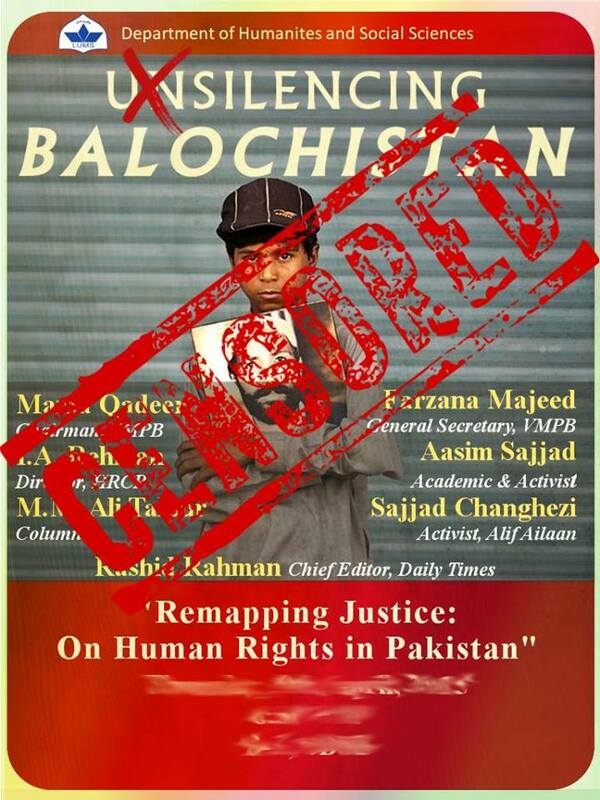 We, concerned students, alumni and faculty members of LUMS, deeply deplore the decision by the Karachi University administration to cancel the talk on Balochistan titled “Baloch Missing Persons and The Role of State and Society”, planned tomorrow Wednesday 6 May 2015 at Karachi University. This decision comes on the heels of the cancellation of the LUMS roundtable on “Un-Silencing Balochistan”, scheduled to be held on 9 April, and the tragic killing of Ms. Sabeen Mahmud, director of the café T2F in Karachi, right after a debate on the very same issue on 24 April on the premises of T2F. We are extremely concerned about the severe violations of academic freedom that the country’s universities are witnessing nowadays, as we are about the repeated infringements on freedom of expression that have occurred in the last few weeks. They go to show that Balochistan is and remains an out-of-bounds topic for concerned citizens of Pakistan. The irony is that by trying to silence Balochistan and stifle all public debate about it, the authorities have so far only succeeded in generating more debate on the issue, as well as on the lack of guarantees for constitutional rights in Pakistan, such as freedom of expression and of assembly. We stand in complete solidarity with our colleagues in Karachi University, notably the “Teachers Against War and Oppression” group which organised the debate and, as of today, courageously still plans to hold it.